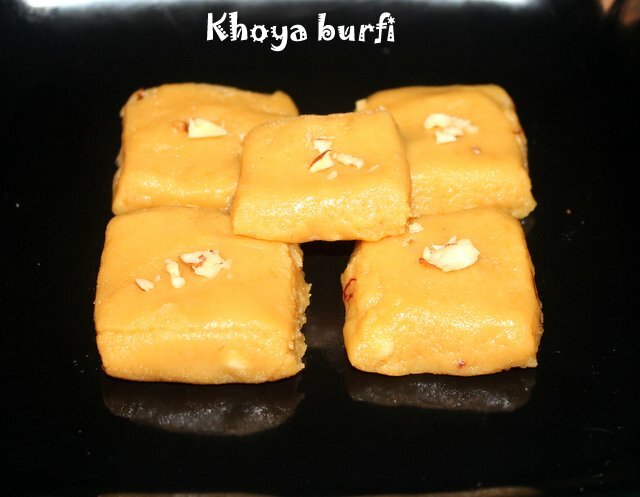 Khoya or mawa burfi is an easy and quick to make barfi recipe made with mawa or unsweetened khoya and sugar. 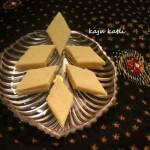 This is a basic recipe of making barfi. 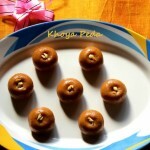 Khoya and sugar are mixed and cooked together with little essence added to it. 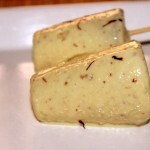 You can also make barfi with condensed milk. In that case no need to add sugar. 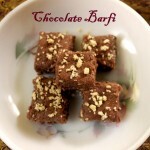 Barfis can be made with different flavours like if you add cocoa powder, it will give you chocolate barfi or adding rose essence it will be rose barfi. 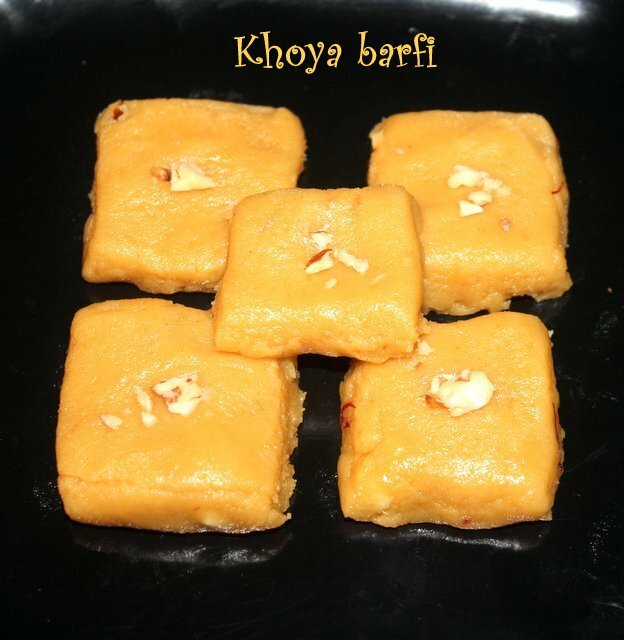 You can add any flavour you wish or make a plain khoya barfi with just a pinch of cardamom powder added to it. 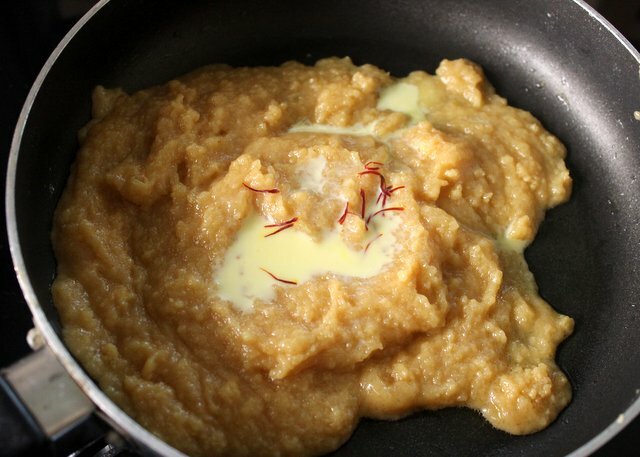 Crumble the khoya and set aside. 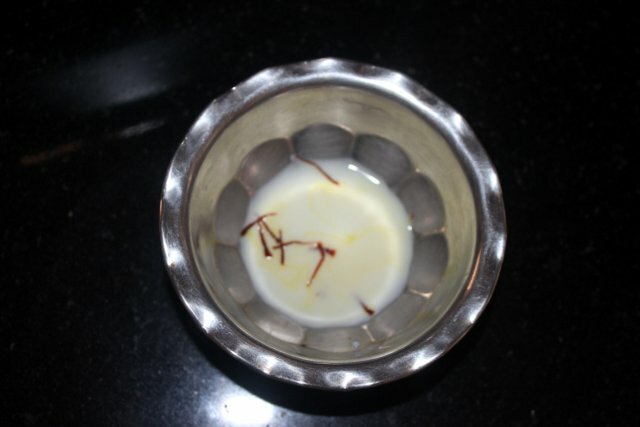 Soak the saffron strings in milk. 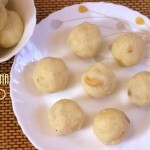 Grease the thali or plate with ghee and keep aside. 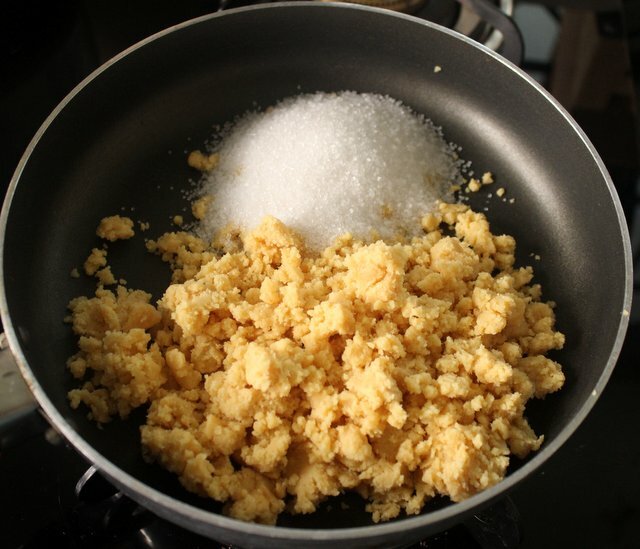 Heat a pan on a medium flame and add the crumbled khoya and sugar and mix together. 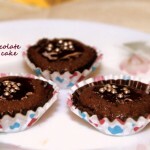 The sugar will start melting and the consistency will become little thin and smooth. 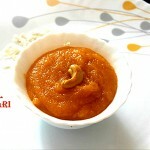 At this point, add cardamom powder and saffron-milk mixture and mix well. Cook on a low flame by stirring continuously. 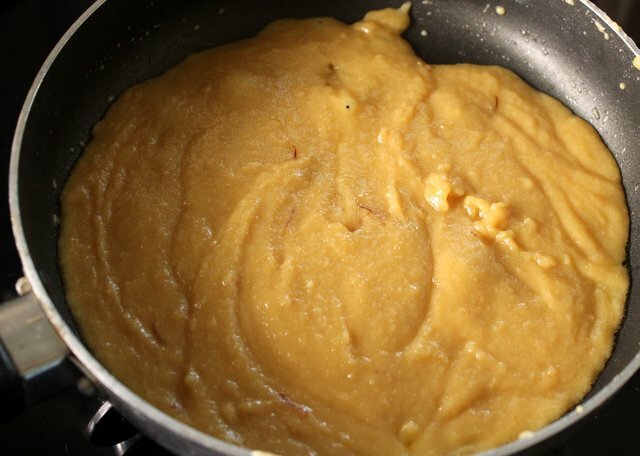 The mixture will soon start thickening and leave the sides of the pan. This will take approx 9 to 10 minutes. Switch off the flame. 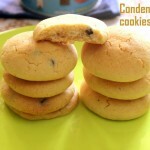 Pour the mixture to a greased plate or butter paper. Spread evenly on the plate. 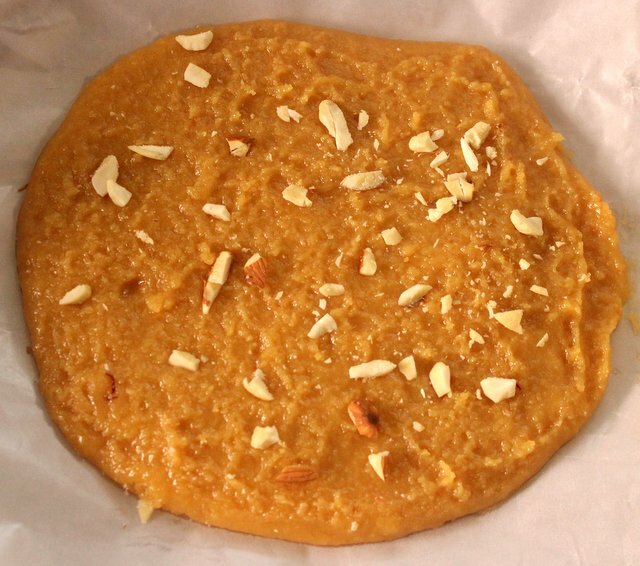 Sprinkle chopped almonds or cashewnuts or pistachios on top of the mixture. 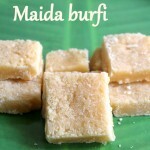 Once the burfi cools down, cut them into square or diamond shapes or any desired shape of your choice. 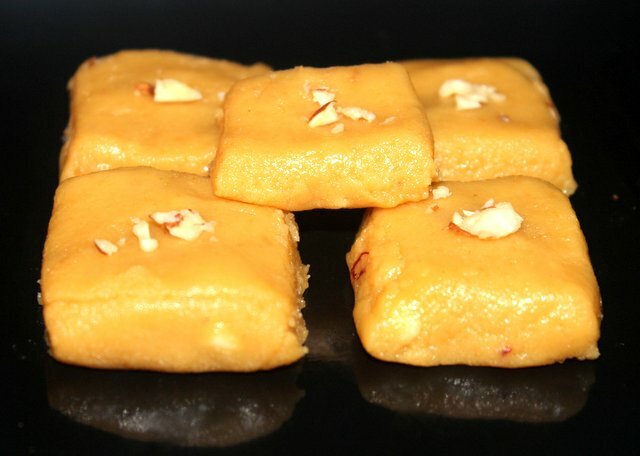 Serve khoya barfi immediately or you can also refrigerate them. 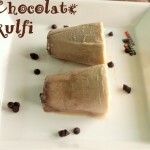 Store the burfis in an airtight box or container. 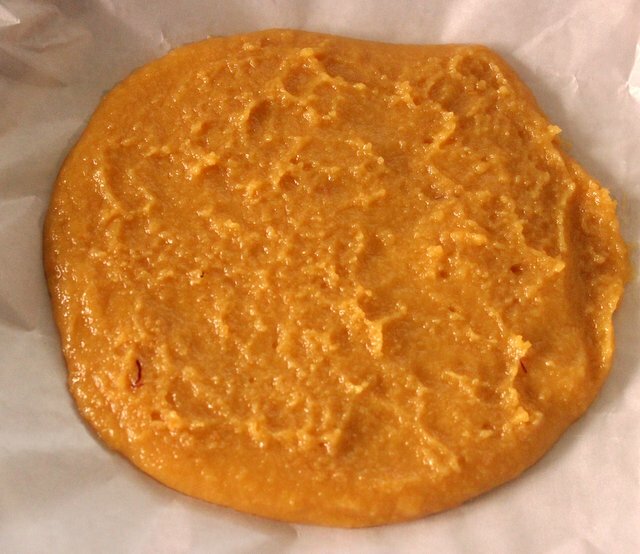 It stays good for about 3 to 4 days in the refrigerator.